Visualize a globe in which each gadget in your house, workplace and car are connected. A world where the AC automatically turns on/off when you approach your house, the tea is ready when morning alarm goes off and the door automatically locks/unlocks when approached by a member of the household. That is the type of world the Internet of Things can create. According to the Gartner research, by 2020 there may be 25 billion internet connected things and close to $2 trillion of economic benefits globally. As per today’s IT market scenario, business models that make the use of IoT are still immature. Despite this immaturity, there are already examples of IoT existing and planned across a wide range of industries. Varied mobile ecosystem – Besides many new aspirants, established organizations are investing significantly in the mobile ecosystem. Many have manifolded their mobile offerings through household products and consumer electronics, wearable tech etc. Advancements in app development – Today, app developers are building apps with high expertise. They are applying their knowledge to the development of mobile apps that are not customary, but using the proficiency to develop full-fledge customized from coding and UI perspective. 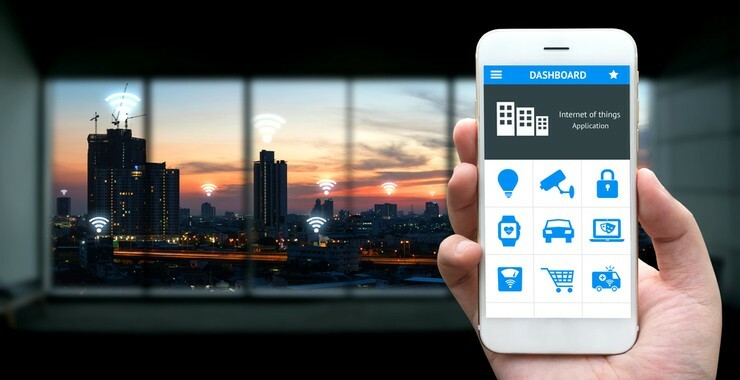 As the mobile ecosystem becomes more connected, IoT brings with it new personalized experiences from sensors connected to it. With IoT’s arrival new features are added making it more important to have an effective strategy for management of the mobile app user experience. Security is new black: The IoT is developed on different semiconductor technologies, including power management devices, sensors and microprocessors. Performance and security requirements differ noticeably from one application to another.Bigger the quantities of insightful data move over IoT, greater the risk of data, IP theft and even server/network manipulation. So, companies should take care of best security practices such as identity, encryption and authentication for supplementary safeguard. Due to rapidly changing threat landscape, an IoT solution needs to be up gradable in the field to prevent future threats. Embedded IoT devices with encryption, firmware, device safety, etc. need to be setup to ensure longer life span of the device and also user lifetime value. Ideal mode of connectivity with mobile device: It is a multifaceted work to put up an app that connects to a piece of tangible product, because you need to imagine the confines of the product and how it will connect. Will it be feasible to connect over Bluetooth, WI-Fi or Internet? Will it be a part of Apple’s or Android’s program, for instance, it can be an important consideration for those building apps for IoT. In the initial stage of development, you also need to choose which native phone functionalities you will have to establish connectivity with. Mobile IoT app development being a relatively new field and with few players taking it mainstream, the choice of platform for IoT mobile app development is a tough choice to make. Programming Protocols to be used to support IoT: To develop an app for connected device, you need to opt for chain of programming protocols. Well, to make an IoT device work with mobile device, a common code chunk for instance ‘the External Accessory Framework for iOS’ is inculcated in the initial stages of development to update the mobile device that object is seeking to interact with it. It is always tedious to come up with the appropriate protocols which are suitable to connect with the IoT device. Hence, it becomes essential to follow proper steps for better compatibility with the object as well the mobile device. The IoT have not only put forward greater efficiency—but also have open doors for many new business opportunities and revenues that entrepreneurs can grab upon. IoT has the potential to change the ways that business and consumers look upon the world.